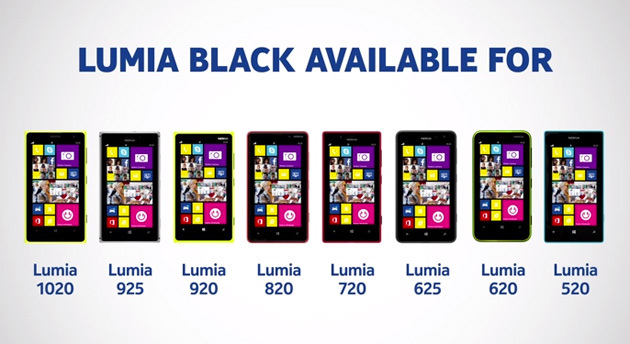 Tech O Blog : Nokia Lumia Black update rolling out worldwide ! Nokia Lumia Black update rolling out worldwide ! If you are a Nokia Lumia user, then Lumia Black update is must have update as it introduces some really useful new features. The glance screen has been updated to show up to five notification from different apps.The camera app has got a better UI which lets you adjust every setting without even leaving the camera screen. You can adjust white balance,Focus,Light sensitivity and more..
Nokia story teller can now show where your pics have been taken. So if you have a pic of Mt.Everest, you can now go to Mt.everest right without leaving the camera app. Nokia beamer lets you share your screen with other Lumia users or even with your TV ! Get the update now and enjoy the latest features with Lumia black update.